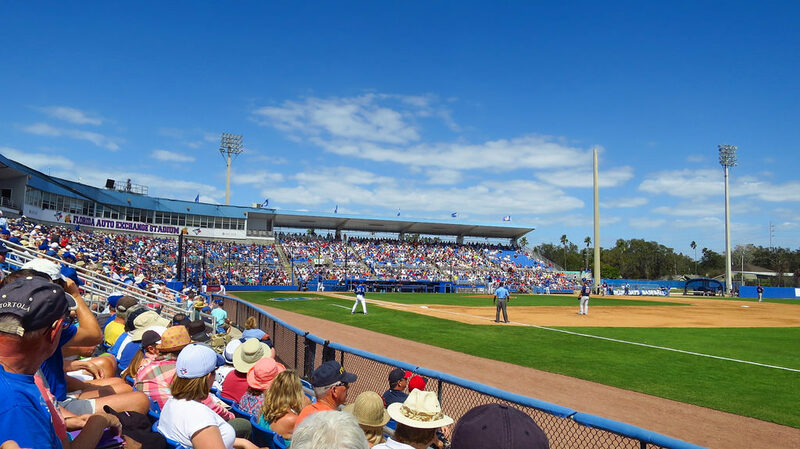 Best Western Plus Yacht Harbor Inn Hotel: Its Training Season For The Toronto Blue Jays - Come Watch In Dunedin, Florida! Its Training Season For The Toronto Blue Jays - Come Watch In Dunedin, Florida! It may seem weird to think the Canadian baseball team, the Toronto Blue Jays, trains in all the way down in Florida but considering the heavy snowfall that occurs during crucial training seasons for Baseball. Thus, the team spends some time enjoying all we have to offer here in beautiful Dunedin and you can too! This training season isn’t just for the players, it’s for the fans too. You can experience the fun of this American classic enjoying great food and drinks as the Toronto Blue Jays take on such competitors as the Tigers, Phillies, Yankees, and even one against Team Canada. Dunedin Stadium fills up quickly, so you don’t want to miss out! For training game day schedules visit the Minor League Baseball website. Acura presents Dunedin Stadiums Luxury Suite packages which give a whole new look to Baseball Games. Enjoy a full bar, pool table, and of course, a fantastic view of the game. There’s no seat in the stands that beats looking out onto both teams watching the game unfold. These suites are pricey if you book the entire location, but individual ‘stand alone’ tickets are available for purchase. Of course, if you’re looking for a more affordable option regular tickets range from only $20-$40 per ticket in great seats that would otherwise cost a fortune during the regular season. Best Western Yacht Harbour Inn is lucky to offer close accommodation to Dunedin Stadium for our guests enjoy such fun games! Book with us in one of our comfortable, vibrant suites for your perfect escape to sunny Florida.